LONG BEACH, Calif. – Dec. 20, 2017 – Epson, the number-one selling projector brand worldwide, and its BrightLink 710Ui has been named a 2017 College Planning & Management New Product Awards Gold winner in the AV Equipment category. It was among 14 Gold winners selected by an independent panel of judges. The winners are highlighted on College Planning & Management’s website at https://spaces4learning.com/pages/new-product-award.aspx and will be featured in the magazine’s December print issue. The BrightLink 710Ui ultra short-throw interactive laser display leverages Epson’s proprietary 3LCD technology and an integrated laser light source to deliver spectacular image quality, making it perfect for the type of large format viewing that takes place in classrooms. College Planning & Management is a leading resource for those charged with planning, designing, constructing, equipping, operating and maintaining the physical environment. The New Product Awards program honors the outstanding product development achievements of manufacturers and suppliers whose products or services are considered particularly noteworthy in their ability to enhance the learning environment. Epson’s BrightLink 710Ui delivers a large, bright, image, up to a 100-inch diagonal, a laser light source of up to 20,000 hours for a virtually maintenance free operation, and Instant Off. It also offers 4,000 lumens of color and 4,000 lumens of white brightness with a Full HD WUXGA display for crisp images even in well-lit classrooms. It has built-in pen/touch interactivity and multi-platform connectivity options, making it the ultimate interactive display for the modern, collaborative classroom. The BrightLink 710Ui works with popular software used in classrooms today and includes a one-year subscription to SMART Notebook. As the first manufacturer to combine inorganic 3LCD panels with an inorganic phosphor wheel, Epson continues to connect people and technology with solutions for creative ideas, displays and collaboration across a variety of sectors where long life, minimal maintenance and low cost of operation are significant. As a leader in innovation and partnership, Epson also offers the Brighter Futures program, a unique sales and support initiative available specifically for schools. Designed to help educators select and implement the best products for their classrooms while making the most of their budgets, Brighter Futures offers special pricing, extended Epson limited warranty coverage for a total of three years, dedicated education account managers, and toll-free technical support for all Epson projectors and associated accessories. 20,000 hours is the estimated projector life when used in Normal Mode. Actual hours may vary depending on mode and usage environment. The BrightLink 710Ui comes with a three-year limited warranty. Note: EPSON and Instant Off are registered trademarks. 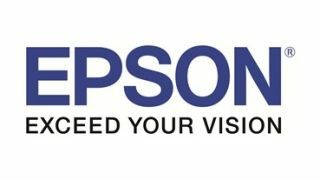 EPSON Exceed Your Vision is a registered logomark of Seiko Epson Corporation. BrightLink and Brighter Futures are registered trademarks of Epson America, Inc. All other product and brand names are trademarks and/or registered trademarks of their respective companies. Epson disclaims any and all rights in these marks. Copyright 2017 Epson America, Inc.